While many children sleep with teddy bears, when Tulis was a boy, he snuggled into bed with his Christmas present, a soccer ball. “It was big stuff. In the 1960s, you didn’t get too many presents. You got one or two. That was all.” Tulis’s father, a highly educated man, was against soccer. Tennis, piano and English classes were for the upper classes. Soccer was for the lower classes. “Every time I got into trouble, they always said it was because of soccer.” When he was 17, Tulis mentioned he wanted to play tennis. The next day, he found a tennis racket, tennis balls and shoes in his room. At the mention of English lessons, his father offered to drive him around the city. But soccer? No. However, Tulis was never mad at his father for his aversion to soccer. “That is why I am who I am. He never cared [whether I played soccer or not]. It was me who cared. In this new generation, parents care and many kids don’t care. You cannot be pushed to soccer. You cannot be pushed to anything.” The boy grew up and, 31 years ago, met a beautiful woman named Danka. He laughed as he recalled how she showed up in high heels for their first date, which was three soccer games. She has been by his side ever since, understanding his passion for the game and never questioning when it sent them chasing dreams in another part of the world. “It was easy for me to open a soccer school because she never questioned, while I had a few calls from friends asking me whether I was crazy.” Now, she is with him through the chemo treatments. It’s a time of hope and prayer. In the former Czechoslovakia, Tulis coached players who eventually went on to great heights, never forgetting the man who helped get them there. Dusan Tittel, who was the Slovakian player of the year for three years in a row, always invited Tulis back to the award ceremonies. Peter Dubovsky, who was also player of the year in Slovakia, became a player with Real Madrid. For all his successes, Tulis knew that one day, he would leave his homeland. He knew he could languish forever at the middle or bottom of the heap. At Expo 86, Tulis spent six months here working in the Czechoslovakian pavilion. He fell in love with Canada. He could see a future for his family here. “I saw the cleanliness and the smiling people. I saw the fairness of Canadians. I love Canadian people. They have helped us everywhere.” With two suitcases in hand, he and Danka left everything behind, first for a year in Austria and then to come permanently to Canada. When they first landed here, Tulis, who had worked in the hospitality business in Czechoslovakia, started working as a waiter in Robson Square. He looked out at the nearby hotels and told himself that he would become a manager of one of them. By the fall of 1990, he was a manager of the Hyatt. Even though his English wasn’t perfect, his personality won people over at the door. In 1992, he was invited by the B.C. 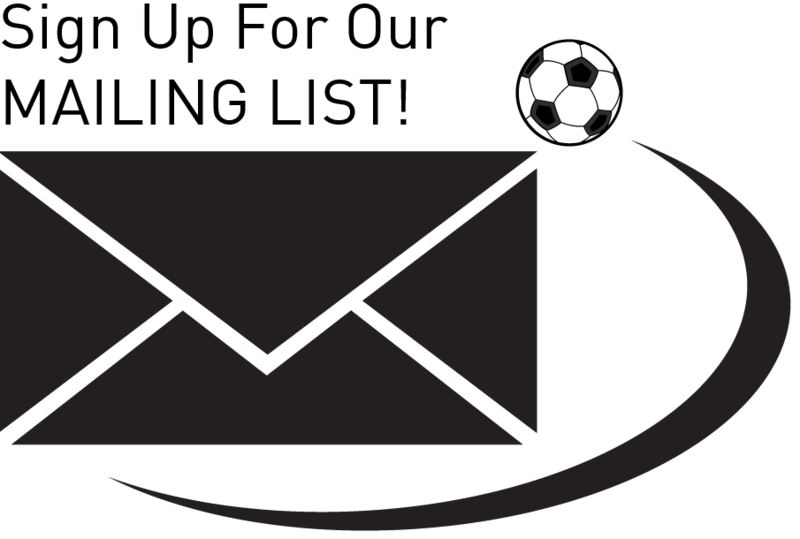 Soccer Association to attend a coaching camp at the Shawnigan Lake School on Vancouver Island. Alan Hodgkinson, former English national goalkeeper as well as an assistant coach with Manchester United and the Scottish national team, spotted Tulis. “He said, ‘Why is Roman not coaching because he is by far your best coach here.’ You could’ve heard a pin drop.” After that, people started persuading Tulis to coach some of the best soccer talents in the Lower Mainland. 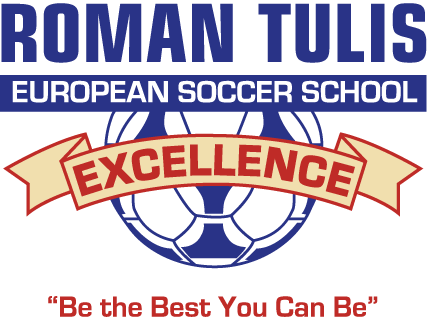 He opened the Roman Tulis European Soccer School of Excellence the same year. A sharp critic of the way the game is coached here, Tulis didn’t always endear himself. He feels parent volunteers with a knowledge of the game ranging from poor to non-existent are filling the role, wasting the talents of budding young soccer players who lack proper instruction. He asks coaches why they praise players when they have kicked the ball into the bushes instead of into the net. “I was kind of a little bit too honest, too honest to tell them they are cheating the kids.” You have to be positive, he says, but you have to be honest, too. Tulis’s success in the old country blended with his success in the new. He has often been the only Canadian coach invited to annual Union of European Football Coaches seminars held in conjunction with FIFA, soccer’s world governing body. 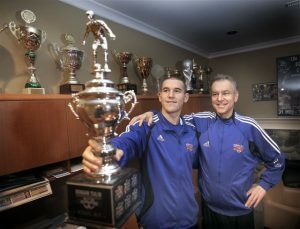 His basement houses an armoury of trophies won by his teams. But the biggest win for him came in June 2003, when his B.C. team beat Ajax Amsterdam, the top Dutch team and one of the top teams in European history. Again, he smiles. Whitecaps striker Marcus Haber, who was named USL first division rookie of the year this year, trained with Tulis’s school for eight years. Kevin Harmse, who is with Chivas USA and has played on a variety of teams, including the Norwegian premier league, the Slovakian FC Nitra, the Whitecaps and the Canadian national team at the 2009 Gold Cup, is a graduate of Tulis’s school. The list goes on. His top players don’t forget him. When they visit, they bring Tulis a jersey from their professional team. Every Christmas, his school has a big party. Tulis shows the children the jerseys. He tells them that everything is possible if you work hard. And if you don’t, please leave. He has watched his 21-year-old daughter Nicole mature overnight because of his illness. His family was at his side while he was in a coma in hospital, holding his hand and speaking softly to him. When he hears all of this, Tulis finds it hard to hide the tears. “I don’t cry too much because I don’t want to show them something is wrong. I say I will not lose the battle. I will beat it, but it is not easy.” His son, Roman, is now in his second year of medical school at the University of Alberta. He recalled how one Christmas, his son told him not to buy him any presents because he had already given him the biggest present of all by bringing him to Canada. This, too, brought tears to Tulis’s eyes. Finally, life has slowed down enough that Tulis can take the time to look around. He realizes how lucky he has been to have his players lighting up fields around the world. “Kevin, Niall – those are proud moments that no one can take away.” He is happy that Cousens is in Prague because it is so beautiful there. But it’s tough, too. “I remind him that just like me when I came here, you are just a small piece of wood in the ocean.” Cousens isn’t complaining. He is living out his dreams in a part of the world that his coach left so many years ago to travel in the opposite direction, to find a future here. In the blustery currents in between, there is the faint sound of clapping. It’s for you, Roman. The players are cheering for you. Later that same day, the boys faced a very talented home team from Denmark, F.f.I. which they beat 2-1 and found themselves in the final the next day against a very strong, high scoring team from Germany, STD Bremerhaven. The boys were able to shut down the German attack and the game was scoreless in regular time with the Tulis boys capitalizing on one of the few chances they had in the 3rd minute of the 1st extra time to make the score 1-0. 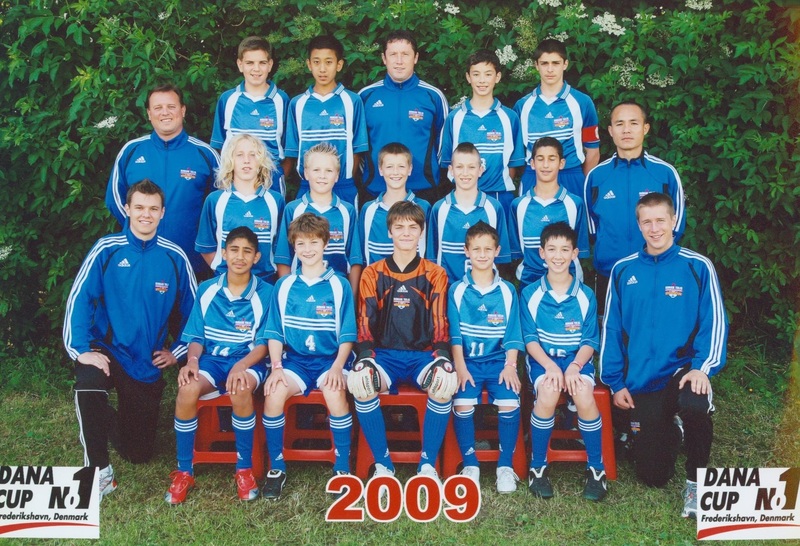 They were then able to hold off the Germans for the final 17 minutes of extra time to win the 2009 Dana Cup. “What excitement in the stadium when the final whistle blew,” said team manager Andy Sulentic. “The atmosphere was electric; the boys will remember that moment for the rest of their lives!” That same day, the boys travelled to Sweden to prepare for the Gothia Cup. After the group stages, the boys qualified for the A Playoffs, finishing 2nd in their group with 5 points; 1 win and 2 ties with one of the ties coming against IFK Goteborg which was a huge accomplishment! In the playoffs, the boys faced a very physical and large team from Morocco, Sporting Atlantic SC. They played with fierce determination and heart as they did in all their games, and were able to shut down the other team’s attack and scored in the 3rd minute of the 2nd half to win the game 1-0. The next morning they found themselves having to play against the largest youth club in all of Europe, IF Brommapojkarna from Sweden. With 6 players suffering from minor injuries and not 100% fit, the Tulis coaching staff knew this would be a tough game to win. The boys played very hard and were very tight on defence, but eventually the Swedes were able to break their back line with 11 minutes left in the game. The Tulis boys gave it all they had to try to equalize the score and appeared that they just might have done so with a couple of dangerous attempts on net. Unfortunately, in the last 5 minutes the Swedes were awarded a penalty shot which sealed their victory. The Tulis’ team drive for their 2nd trophy was stopped in the 16th finals! IF Brommapojkarna finished 3rd overall in the tournament having lost to the eventual Gothia Cup winners in the semi-finals! 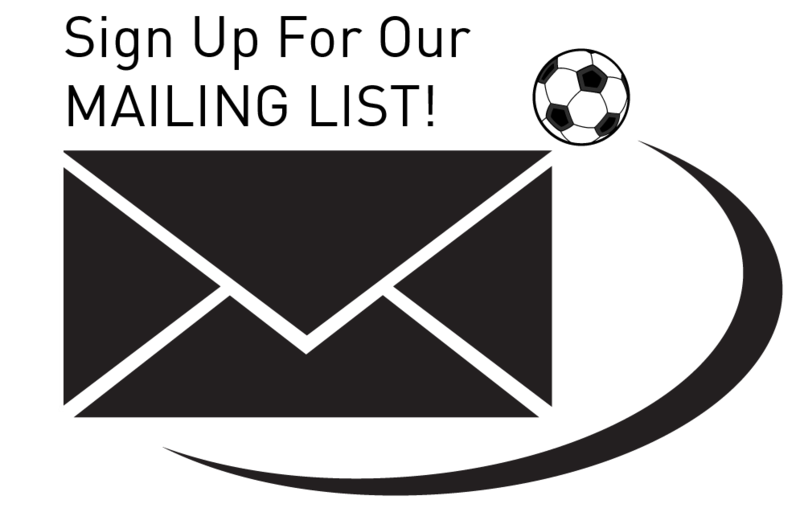 There were a total of 118 teams in the U13 Boys age group. Marcus Haber – Marcus had a superb breakout year in British Columbia with the Vancouver Whitecaps. After returning home last season following a two-year youth career with Dutch Eredivisie side FC Groenigen, he appeared in every league game and earned the USL-1 Rookie of the Year award as well as the club’s fan favorite nomination. As of late December Marcus was in negotiations with Championship club West Bromwich Albion in England and was awaiting a transfer. Santiago Fernández – Santiago joined Puebla F.C. for the Clausura 2009 season, in hopes of helping the team not to be relegated to the Primera “A”. Colin Strechmann – Colin, who plays forward for the SFU Clansmen, received the Player of the Year award. Colin, a senior, had eight goals and seven assists this past season and scored the game winning penalty kick goal in SFU’s final round national tournament win over Ohio Dominican. Michael Nonni – Michael represented Canada at the 2009 CONCACAF Under-20 Men’s Championship in Macoya, Trinidad and Tobago (Canada finished third in Group B).